I wish everyone a wonderful year in 2011. Have you visited the blog of Bonnie Rose? Her blog is called A Life Unrehearsed and her artwork is fresh and bright and will inspire you! 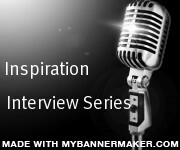 Bonnie Rose has started something new on her blog called the Inspiration Interview Series! that I feel so blessed to call my friends, my heroes, my mentors." I feel blessed to have been asked by Bonnie to be a part of this series and you can check out my interview today on her blog! I hope you will enjoy the interview and stay a while to check out Bonnie's wonderful artwork and words of inspiration! Thanks, Bonnie Rose for having me!